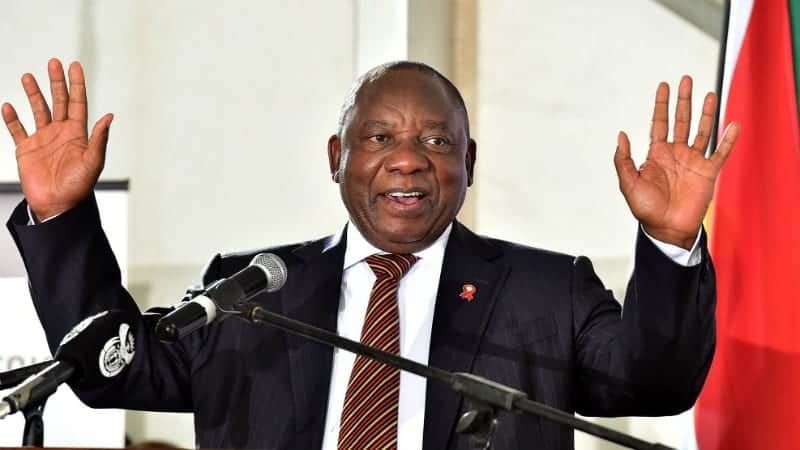 An agricultural business leader has pleaded with Cyril Ramaphosa to urgently give certainty with regards to South Africa’s land reform policy following the president’s meeting with farmers in Stellenbosch as part of his pre-election drive. 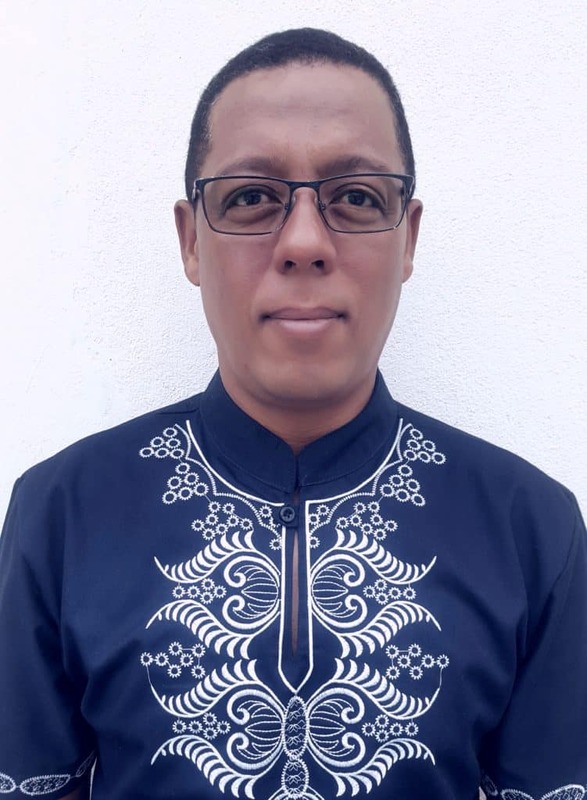 Elton Greeve, the Managing Director of EMG Agri Solutions, is a former Chief Director: Strategic Land Reform Interventions in the Department of Rural Development and Land Reform. He says as a black South African he was moved by Ramaphosa’s call on white farmers to not fear land reform. 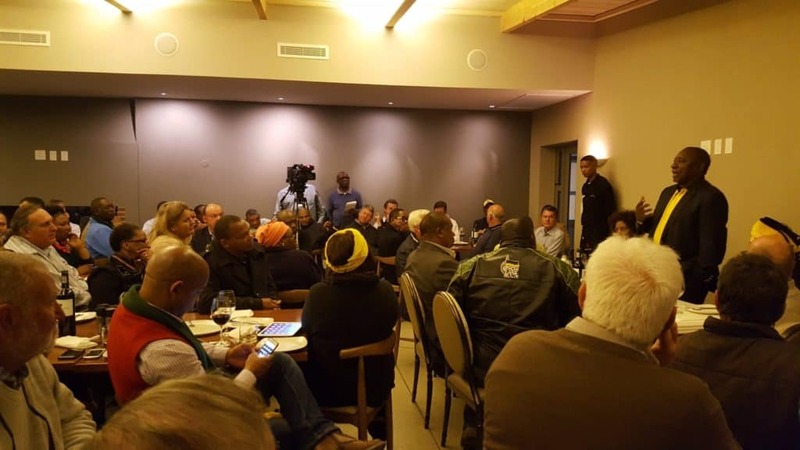 Ramaphosa pleaded with white South Africans to not leave the country in search of greener pastures. Elton Greeve, the Managing Director of EMG Agri Solutions. In an open letter addressed to the president, Greeve describes this as a “bold and noble statement”. However, he is convinced that farmers are not actually fearing land reform, “but the process and manner in which it is undertaken, and the uncertainty it creates when policy isn’t clear, implementation is haphazard, or statements made around the proposals on ‘expropriation without compensation’ (are made)”. Food For Mzansi publishes the full text of Greeve’s letter below, with his permission. The letter was submitted to the presidency as well as the Department of Rural Development and Land Reform. Should we receive a response, we will update this story with their responses. I write this letter to you in the hope that it serves as a way forward towards making South Africa, and more so the agricultural sector a unified, and prosperous one. Mr President, I watched with interest your engagements with farmers and stakeholders in the Western Cape on 9 April 2019 and must commend the spirit in which the engagements were conducted. During the discussions and your address to the event Mr President, you indicated that “white farmers must not fear land reform”, which is a bold and noble statement, and which one must admire. 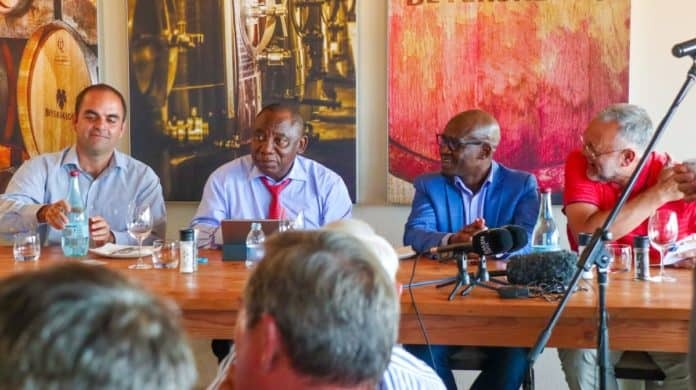 However, Mr President, I am of the opinion that it is not land reform that farmers fear, but the process and manner in which it is undertaken, and the uncertainty it creates when policy isn’t clear, implementation is haphazard, or statements made around the proposals on ‘expropriation without compensation’. As a black South African, I have had engagements with many farmers, both black and white, and all are willing and able to contribute towards making land reform work, both from a private sector perspective, as well as working with government. In order to make this work, there must be change, and I base this on the following. A few years ago, the government called for white commercial farmers to partner with their workers and the Department of Rural Development and Land Reform, on the Strengthening of the Relative Rights of Those Working the Land Programme, many commercial farmers submitted proposals, and subsequently projects were implemented. It is however not all rosy, Mr President, and one can only hope that by your call to cut bureaucracy and improve governance, the situation with these projects and land reform in general will change. It is in this spirit that I draft this letter. Allow me the opportunity to highlight what has happened, and I do so in the spirit of improving how things are done, and how we can move forward in a more pragmatic and solution driven spirit for land reform. I want to focus in on three projects, as examples, one in the Western Cape and two in the Free State, I will not mention the projects names, as they have already been victimised enough by the Department of Rural Development and Land Reform. This was approved in 2016, and the deal was structured for commercial farmers to partner with their workers in a shareholding arrangement, land was acquired, and the project commenced. All good and well, until it came time for the Department of Rural Development and Land Reform to provide its share of the operating capital. To date, as I draft this letter, this has not happened. What are the consequences of the Departments actions/inaction, and the unwillingness to contribute the operating capital? Workers can’t be paid as the project has no funding to operate. The project is at a standstill due to this. Files of correspondence sent to the Department were met with either no response or a response of criticism and a blame-game. The beneficiaries, who were supposed to benefit from this project have been left destitute, unable to pay schools, buy the basic necessities and has left their households in distress – this is the opposite of what this project envisaged. This followed the same route as project 1, but was approved in 2017. Again, the Department has not complied with its agreement to provide operating capital to the project, although this was agreed upon in writing when the project was approved and implemented. To date, two years later the project is in jeopardy. Winemaker Beyers Truter, President Cyril Ramaphosa and Gert Oosthuizen, Deputy Minister of Sport and Recreation. A farmer sells a portion of his farm to the Department, in return he forms a business partnership with his workers. The land was acquired in 2016, and 3 years later, the project still awaits the finalisation of the land transfer to the beneficiaries in terms of the Extension of Security of Tenure Act. It took ten months to register a Communal Property Association in whose title the land will be held. To date, the land has still not been transferred to the CPA. What this means, is that he project has been on hold since 2016 and could not produce anything. Mr President, I support your call to cut bureaucracy, it will go a long way towards easing the burden of undertaking projects with government, this within the land reform process. I understand there has to be processes, but surely such processes should not take years, and in turn disrupt agricultural businesses. 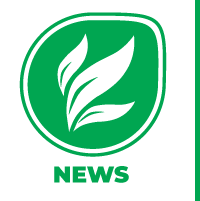 The governing party took a resolution that land reform should not be undertaken in a manner that disrupts the agricultural sector or production, the above examples demonstrate that it the opposite was done. Mr President, the intention is not to criticise, but in the process of change one has to identify the problem, admit that there’s a problem, and then remedy such. Farmers listening to President Cyril Ramaphosa during his visit to Stellenbosch in the Western Cape. Thus, I send this letter to you in the hope that it highlights some of the challenges, and paves a way forward to address these, but also in the hope that by assisting you and supporting you in your call for change – that we can make a difference together as a sector. Lastly Mr President, I served in government for 20 years, namely in the Department of Rural Development and Land Reform, I resigned in 2017 as I could not handle the toxic work environment, I could also not sit by and watch a process unfold which was turning land reform into a counter-productive process. Many other senior officials subsequently left the department, also having served 20 or more years in the Department. This is the reality of how a department operates, to the extent that Senior Officials with decades of experience and institutional knowledge left the Department. My commitment now resides in utilising my experience (from a private sector approach) to assist the agricultural sector make a difference, even though mine is or might be a small one, but it is a contribution, nonetheless. Mr President, land reform can work, but it must be done in a manner that is efficient, effective and responsible. Also read a young, aspiring farmer’s open letter: Send us, Mr Ramaphosa, a new generation of farmers.